Introduced in 1998, the Quintet set the standard for big sound from small speakers, moving on to become Klipsch’s best-selling surround sound system of all time. Now, in its fourth generation, this popular setup adopts both acoustic and aesthetic improvements. Since its inception, the Klipsch Quintet 5.0 Home Theater Speaker System has been the biggest sounding small system on the home theater market. It’s also a product that takes style very seriously. When Klipsch’s engineers set out to refresh this product, they decided it had to look and sound better than ever. Right now you can get this at a bargain basement price. 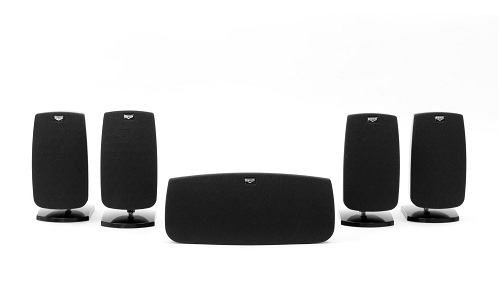 See below for a discount deal on the Klipsch Quintet 5.0 Home Theater Speaker System.